Sunday, September 6, 2009, 6:00 p.m. 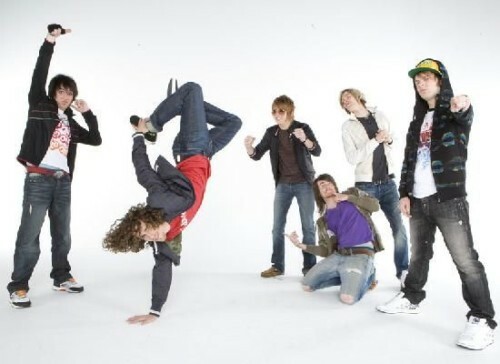 Originally hailing from Dallas, Forever the Sickest Kids’ punk sound earned them the number one ranking in Alternative Press magazine’s list of “22 Best Underground Bands (That Likely Won’t Stay Underground for Long)” in 2008. Their debut album, Underdog Alma Mater was released in April 2008. The band is preparing to release a three-part EP Collection in fall 2009, aptly named 3P. Forever the Sickest Kids band members are Jonathan Cook (vocals), Caleb Turman (guitar, vocals), Marc Stewart (guitar), Austin Bello (bass guitar, vocals), Kent Garrison (keyboard), and Kyle Burns (drums). The concert is FREE with paid park admission. Preferred Floor Access is available for $15.00 at sixflags.com or at the Main Street Confectionary at Six Flags America on the day of the concert. First come, first served; preferred floor access is limited.